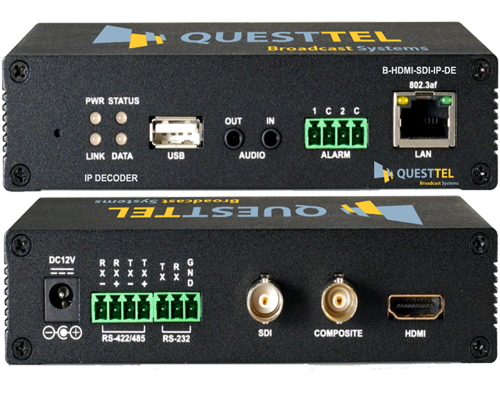 QuestTel's B-IRD-HD-PRO-A is an outstanding solution for professional use, which allows user to receive ATSC signal and convert it to IP,ASI and many AVI interfaces, such as SDI, HDMI, CVBS and YPbPr, digital S/PDIF and stereo unbalanced audio outputs are available as well. 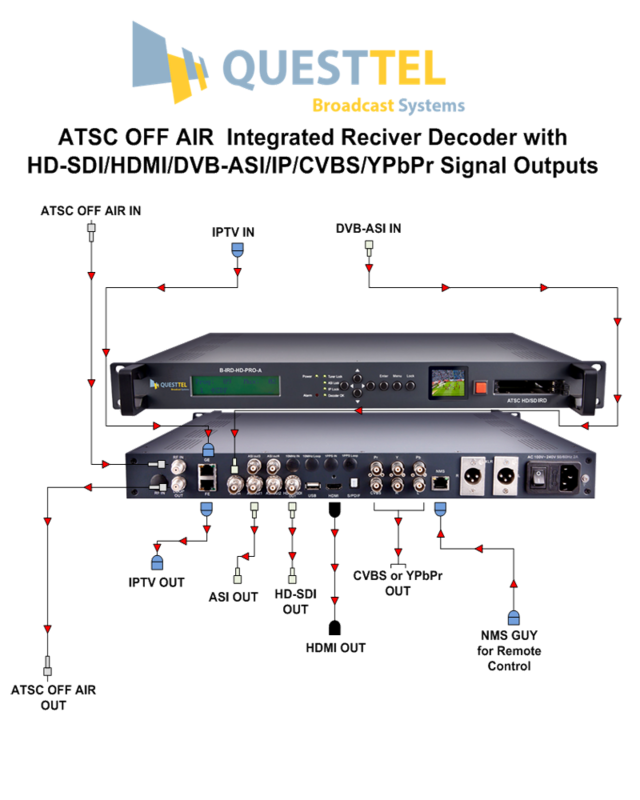 Incoming signal could be coming from integrated ATSC RF tuner or from IP or ASI input as well, after being multiplexed and de-encrypted with integrated CAM module, video could be distributed via IPTV or ASI, as well as accessed from video interfaces. 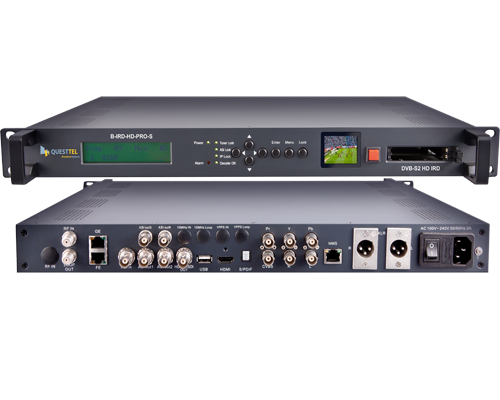 B-IRD-HD-PRO-A provides great performance and variety of supported functions, for example it has AC 3 audio pass through support as well as 608 and 708 closed captioning. To manage such powerful stack of features we equipped the unit with Web Management Panel, this out of the box solution allows the user access all settings or check current status via web browser remotely. Video control made easy with integrated LED display on the front panel, which plays video in real time to make sure that signal is begin processed properly. All things considered, B-IRD-HD-PRO-A is very powerful yet affordable tool for any broadcasting company for receiving and distributing RF feed.